This is an unusual HII emission nebula. The filamentary structures resembles a supernova remnant. 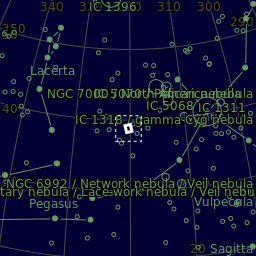 However, no supernova remnant appears to be recorded for this location. The wispy structures are likely the result of winds from hot, massive stars interacting with the magnetic fields in the interstellar medium. But very little is known about it.